The LPA82 crew brings CROSH-12 north. Train originated at the Caballo Rojo mine in Wyoming three days ago, consists of two units on the front and one on the rear in DPU mode, 136 loads of coal, for 19,448 tons. 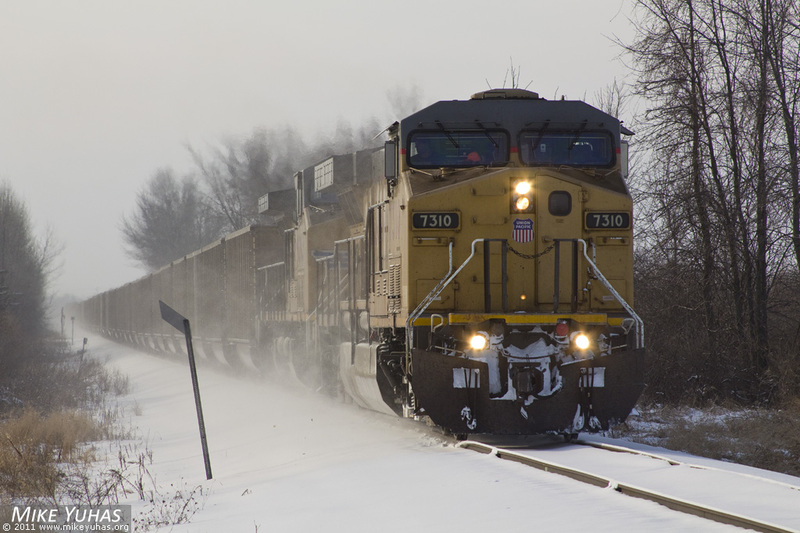 Train is 7,658 feet long, and will be put away at the Edgewater Generating Station in Sheboygan within a few hours.